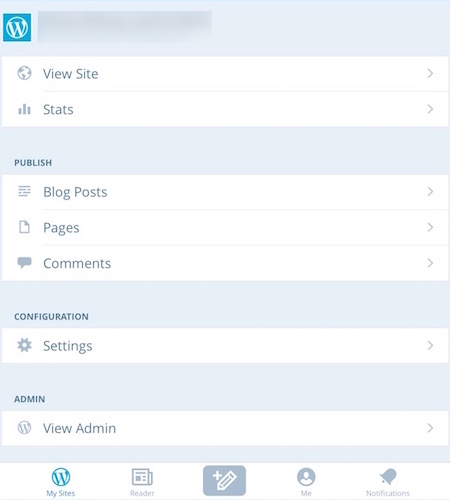 The WordPress iOS app puts the power of publishing in the palm of your hand, making it easy to create and consume content. Write, edit, and publish posts to your WordPress site, check stats, and get inspired while away from your desk. Publish blog updates from any corner of the world. Sneak a peek at your visitors and views. Monitor your top posts and most popular stories of the day. Discover where your readers come from, all across the globe. Catch up with your favorite sites and join the conversation anywhere, any time. Keep up with your site’s activity, even when you’re away from your desk. Check your notifications to keep conversations flowing with your followers, no matter where they are. 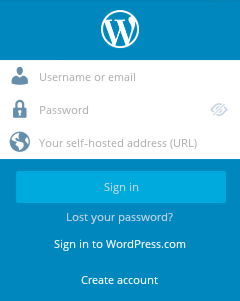 To access your WordPress site using the WordPress mobile app, tap Add Self-Hosted Site in the login screen. Enter your username, password, as well as the URL to your site. If your site is connected to Jetpack, you will also need to provide your WordPress.com login information. If you have more than one sites, you can add them to your WordPress app by going to My Sites and tapping Add a Site. Each site can be managed separately through the app. Select the My Sites icon, and choose the website you wish to manage. The display screen is your iOS Dashboard for that website. From here you can add or edit Posts, Pages and Comments. You also have Admin access for any website you are an Admin of. That includes Stats for Jetpack and WordPress.com sites, the ability to view the site, edit general settings or access the Admin panel. You can make a post by selecting the icon in the middle of the bottom navigation bar. By default, this will create a post on the last selected site. However, you can change on which site it will be published by selecting it from the drop down on the top navigation bar. You can also create a post by selecting Blog Posts from your site’s iOS Dashboard, and then press the + icon in the upper right corner. 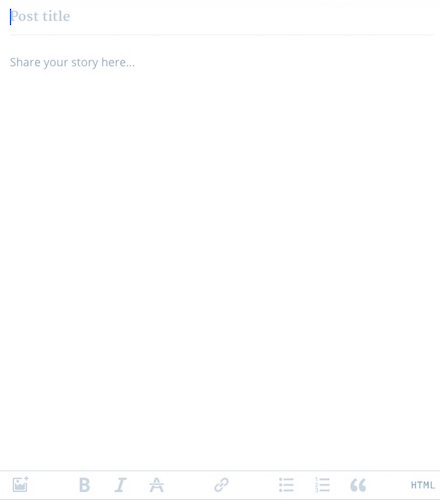 You can edit any post by selecting it from the Posts screen. While writing a post, you can add rich text inline using the buttons just above the keyboard. The default styles include bold, italics, strikethrough, hyperlink, unordered and ordered list, and blockquote. You can also toggle to the raw HTML if you’d like to add more styles in the code. You can access additional post options, such as Save Draft, Categories, Featured Image, and more by selecting options at the top of the Post screen. The options button looks like a little cog. 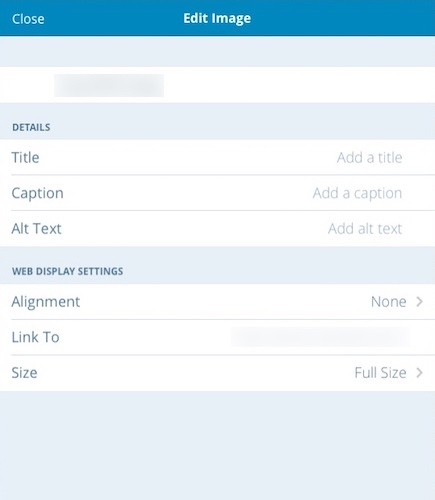 You can create a page by selecting Pages from your site’s iOS Dashboard, and then the + icon in the upper right corner. You can edit any page by select it. Same with posts, you can style text in pages using the buttons just above the keyboard. To add an image, tap the image icon just above the keyboard. If asked to allow the app to access your photos, tap OK. Please note that you can only add images via the app, not other media such as videos. Once an image has fully uploaded, tap the image to bring up the edit overlay. Tap the image again to bring up the image details. You can edit the image title, caption, alt text, alignment, link to, or size. For troubleshooting help and more information on using the WordPress iOS app, please visit the detailed official FAQ.